The Stingray Child Junior Swim set comes from a line of swim sets, snorkel sets and diving sets by Poolmaster. The sets vary in size and contents. The featured set is similar to the Dolphin Child Swim Set, but it is slightly larger. It fits children and juniors. 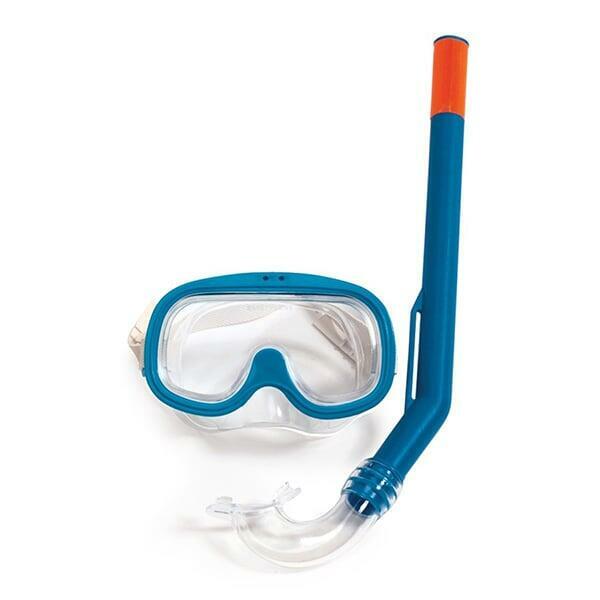 The set includes a swim mask and a snorkel set. The swim mask is comfortable and effective with a PVC skirt and rubber strap. The polycarbonate lenses are strong and keep the goggles from scratching or fogging. 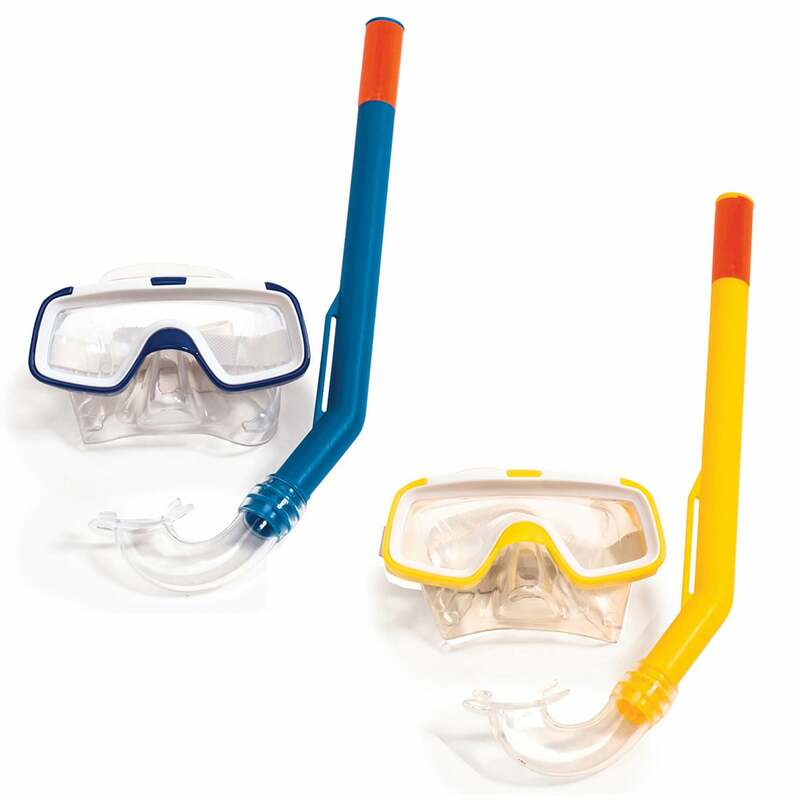 The swim mask and snorkel set come in both blue and yellow so that they are easily visible in the water. Enjoy the Stingray Child Junior Swim Set in your backyard swimming pool, at a hotel swimming pool, or even in the open water of the ocean! For different sizes and sets, review other pages of swim and dive sets by Poolmaster.